The year is 1943 and we’re on the Indiana Harbor Belt line. 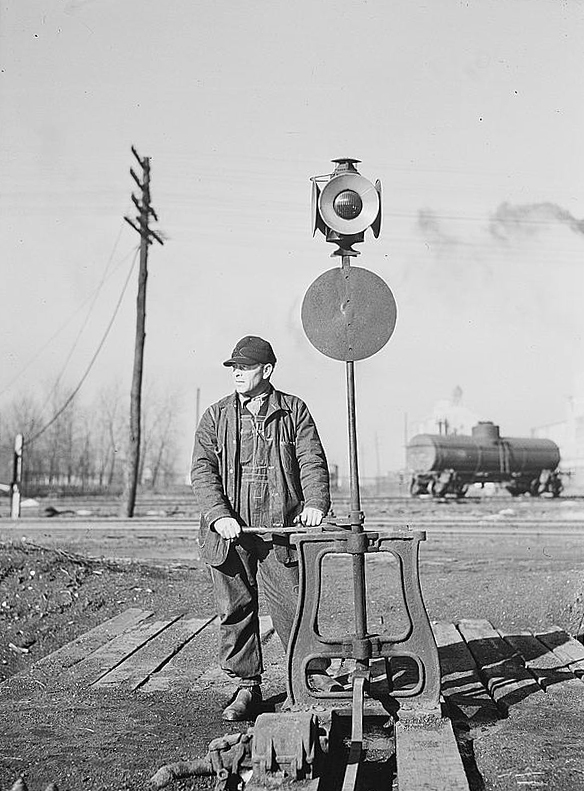 Switchman Daniel Senise is seen waiting for the movement after lining a switch while at work in an IHB railroad yard. Jack Delano photograph.